Primitive fan tail chicken pattern Instant download, PDF digital pattern. 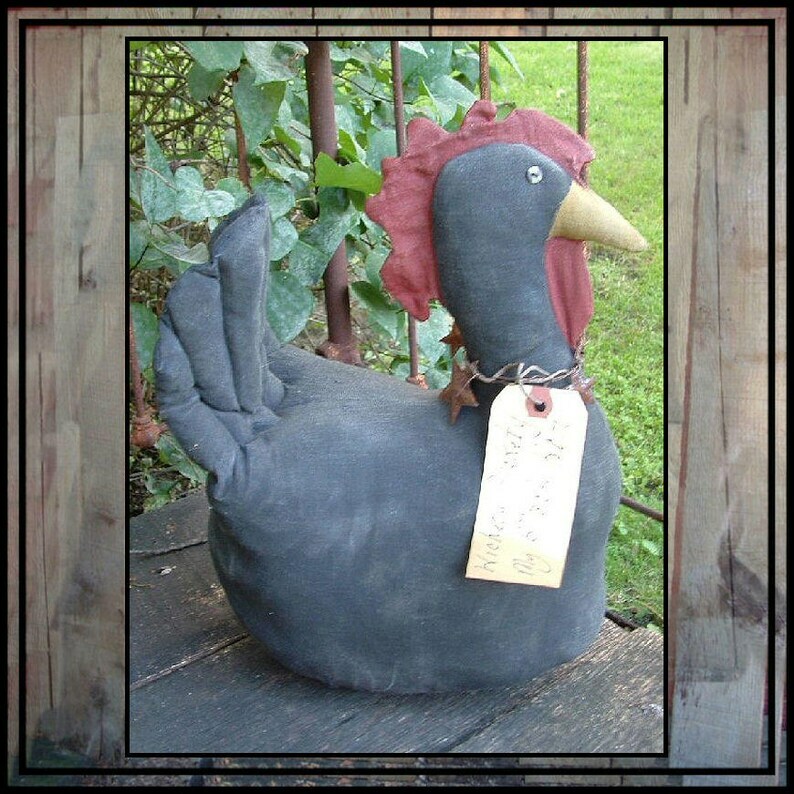 This wonderful chicken is 13" high, 14" front to back and 5 1/2" side to side. (nearly life size) She's made of osnaburg (or linen or even muslin) and stuffed with polyester fiberfil. She's stained and painted with black paint. She has button eyes. The neck "wreath" is twisted rusty stars on wires and she has a tag with MY BLACK HEN. This is quite easy and fast to make.